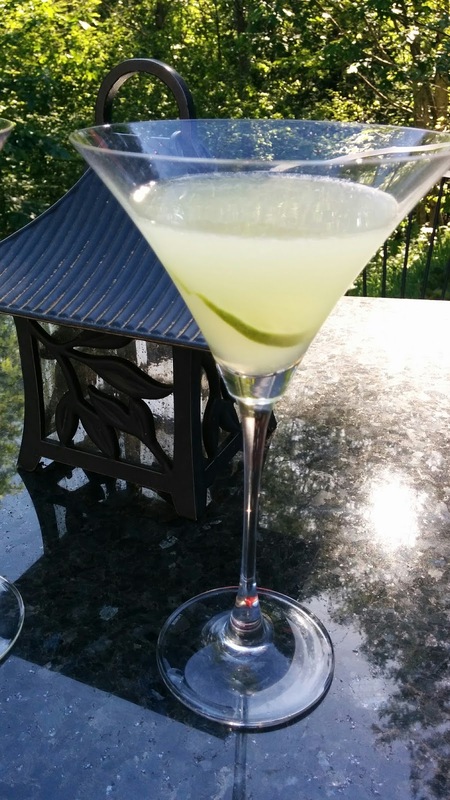 I was waiting to share this cocktail when the sun started shining again. But then again, who needs a bright, dreamy cocktail more on a cloudy day? Yes, you do. 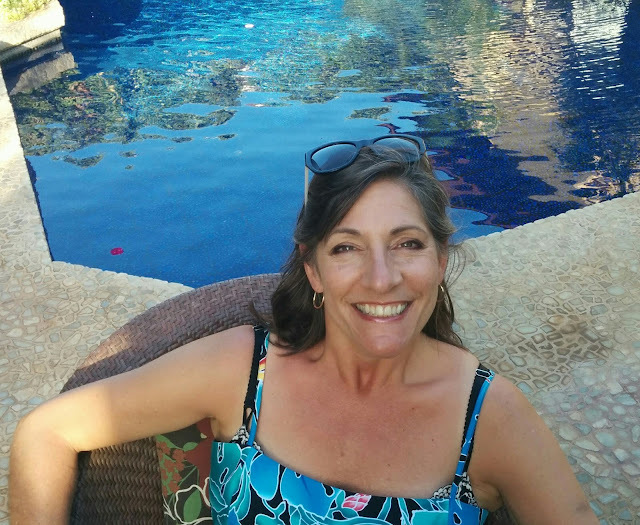 You need a day to dream about soft sand beaches, swaying palm trees and the warm breezes of Hawaii. I never even went to Hawaii until my early 30's, and at time, I'd been to about a dozen foreign countries but never thought I should spend my vacation dollars on something, so... ordinary. My point was, I can go to Greece or Mexico so much cheaper than Hawaii, why not go exotic??? Until I went... then everything about the place made me smitten with it. The people all smiley and speak your language, the lushness of the greenery, the mountains, the beaches, the palm trees, the air (even the air over there is amazing) you know the currency and it's in your country. Something to be proud of for sure. Nowadays, we like to get there every year... God willing and all that. 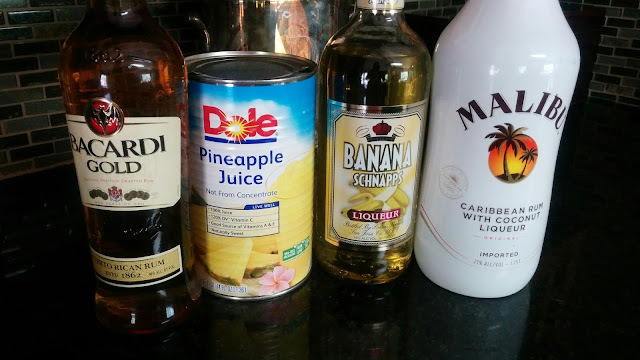 Mix all together and pour over ice. 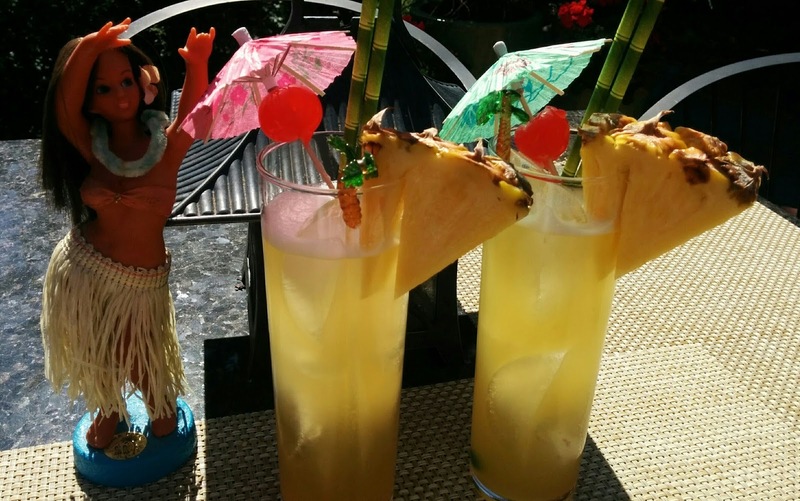 Find every kind of garnish that shouts Hawaii and serve at once. Repeat as needed. 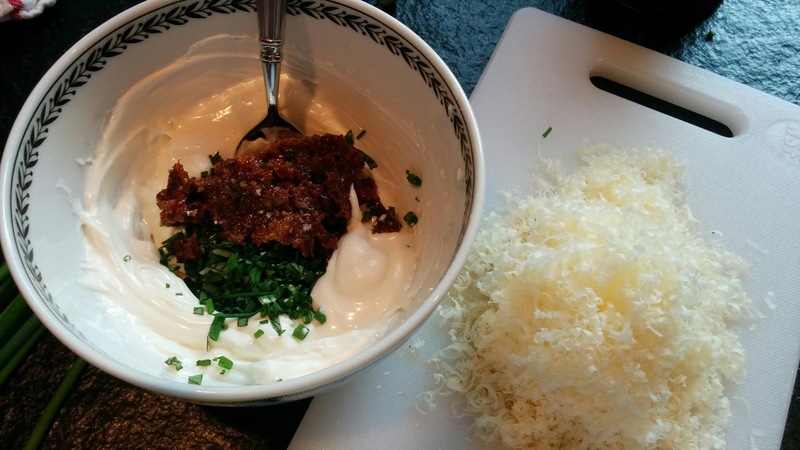 How about a four ingredient salad? Yep, this one is so easy, fresh and tangy. And good for you. I know some of you don't like cilantro, that's okay, I'd suggest substituting mint, or parsley. This would be great for a barbecue, or a picnic, or even a weekday salad with some grilled fish. 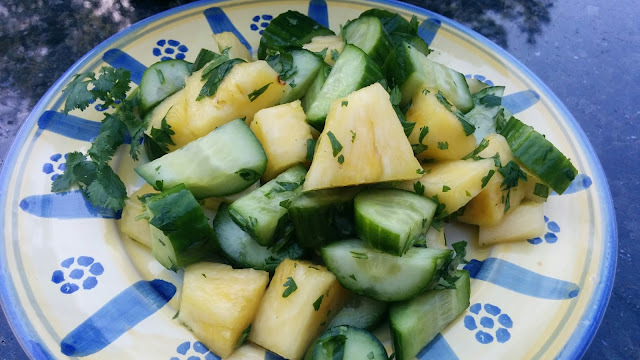 Cut the pineapple and cucumbers up and put in a large serving bowl. 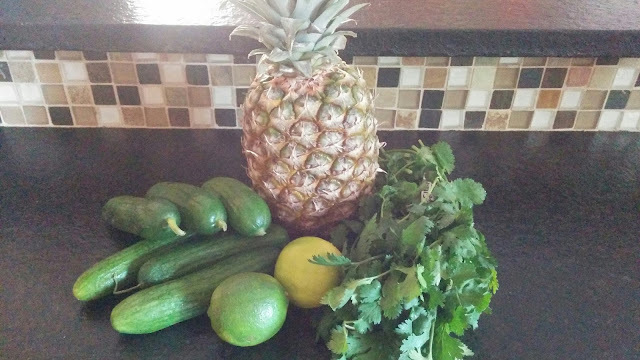 Chop the cilantro, add to the pineapple mixture. Juice the limes and stir to combine. Taste and see if you'd like to add salt. You could add a sprinkle of sugar too.. I guess it depends on your taste buds. Fresh halibut can kind of take your breath away.... more than once actually! Once when you buy it and see how much it is per pound, and once again when you taste it. We made this at home last week for our anniversary with a nice crisp bottle of white wine and a green salad. Perfectly delicious and perfectly easy when I'd rather be visiting with my sweetie of 31 years instead of cooking. 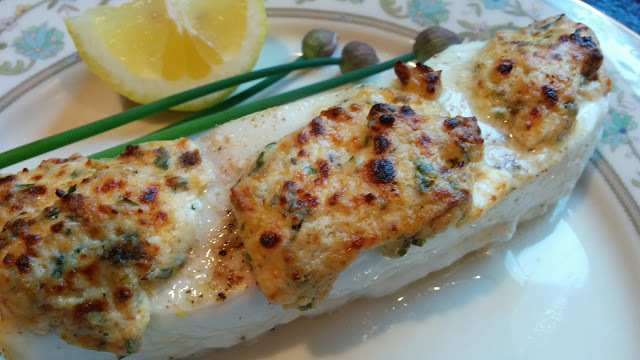 While fresh fish as wonderful as halibut can be terrific just baked with lemon and butter, this topping was delicious and didn't over power the fish. 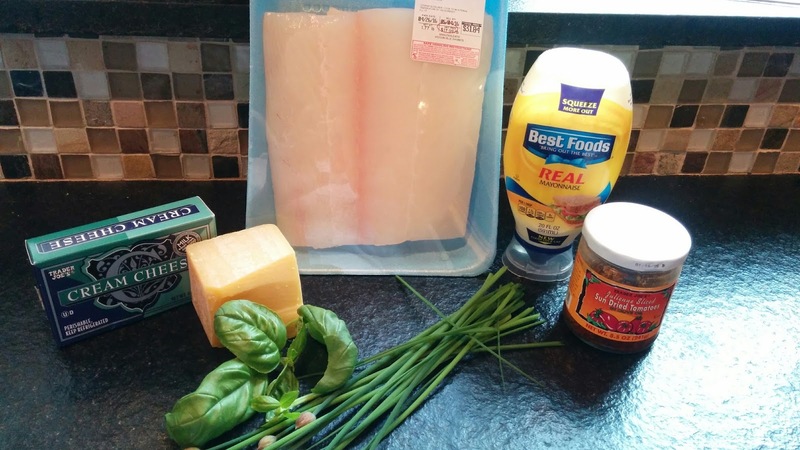 The firm texture of halibut is a great partner to a creamy flavorful top. This one is so easy, you can make it for your Mom, because it is Mom's day tomorrow! Happy Mom's to all my friends out there. I hope it is the happiest of days. Cut halibut into fillets, add to a baking pan coated with a little oil. Squeeze 1/2 lemon over the top of the fish.Salt and pepper, halibut and drizzle with a tablespoon of melted butter. Bake for 6-7 minutes in the 450 degree oven. While that is baking, make topping by mixing the cream cheese, mayo chives, basil, sun-dried tomatoes and Parmesan cheese. 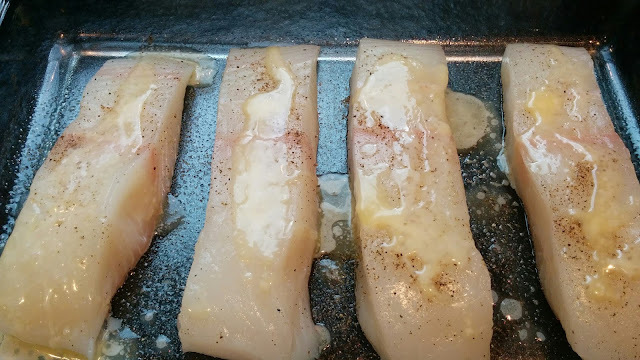 Take the fish out of the oven and carefully top each fillet with some of the topping. Add back to the hot oven and back another 6-7 minutes. You can also broil the top for 1-2 minutes to get a little more color too, but watch it, the topping can slide off when it gets too hot. I did this recipe in a similar way with salmon in this link here. 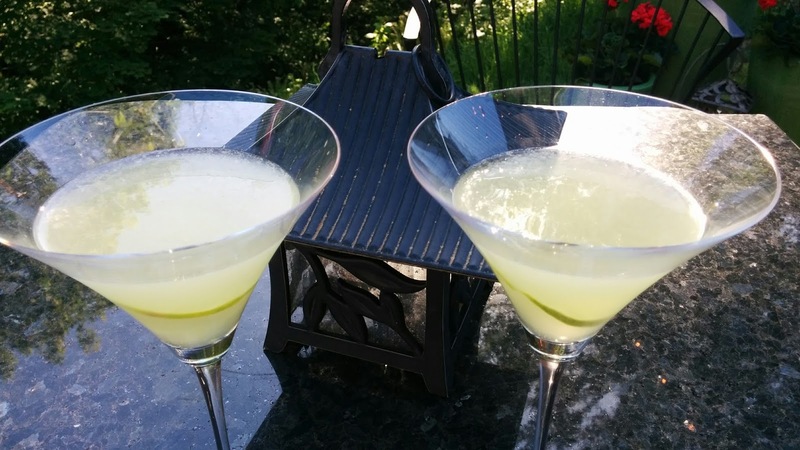 Essentially most classic martinis are 100% chilled booze. 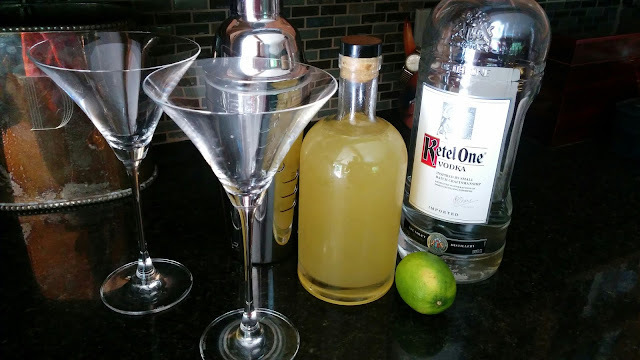 A classic vodka martini is nothing more than vodka (with a "wave over" of vermouth), chilled over ice and strained. Olives optional. So, honestly, this Limoncello martini has less alcohol. LOL, albeit, not much less. High octane for sure, be careful. Don't have any Limoncello? Go ahead and make some! My recipe is here! Add to an ice filled shaker... shake, shake, shake... shake some more. I recommend this one frosty with small bits of ice. Perfect for a summer day... or summer-like as it's still early May here.